Gerald Deutschbauer, Manfred Kepold and Egon already invested in a software development business in 2012. Based on this experience in 2014, etoxx AG was born and many other top manager joined the team in the coming months and years. Gerald has been active in direct sales of insurance and banking products since 1986. 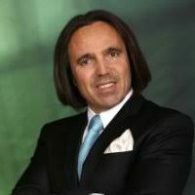 In his 30 years of professional experience, he has built up more than 70,000 sales partners in Europe. With his team, approx. 1 million customers have been acquired for the product partners so far. His company has been working together with German Hamburg Mannheimer, ERGO Group and Bank Austria for many years. This makes him to one of the most successful sales managers in Europe. Based on his product experience, MCV-CAP will launch highly scalable products and services that are globally deployable and easy to sell, easy to customize and quick to modify as the market requires it. Gerald is meeting with more than 100 major sales organizations in Europe to set up the future MCV sales network to quickly gain a large number of new customers. The quality of banking services and individuality of banking products have always been limiting factors for his sales staff, so that Gerald and his partner soon focused on Blockchain technology. His intention is to fullfill service requests of private individuals. This group has always been severely penalized by banks and technology providers. Either products and services were not available or too expensive for this group. Blockchain combined with SEPA technology will certainly change that.